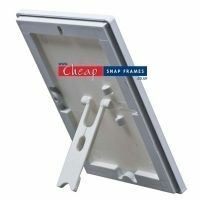 Waterproof Snap Frame 35mm Ideal for larger poster sizes that need to be situated outside. 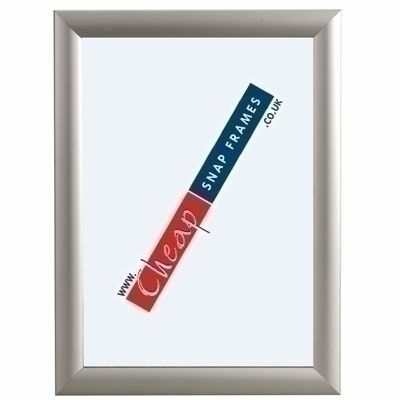 This lovely waterproof poster frame is made for silver anodised aluminium, so looks stylish. These waterproof frames have a frame width of 35mm but have a special rubber seal under the edge of the frame to keep the water out. The edges of the silver poster frame open from the front revealing a protective clear sheet and a rubber gasket. You simply put you poster in, put the cover over it and snap shut over the rubber seal. This then forms a seal to help keep out the British weather. 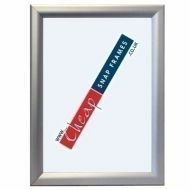 Our 35mm Silver Waterproof Snap Frames are a very well made product at a super price. Available in A0, 20x30-inch, 30x40-inch and the huge 40x60 inch. Delivery is only £10 + VAT to London and the UK mainland.